Emergence of Indian economy at the global arena is well recognized. Yet, the gap in the demand and the supply of agricultural output, coupled with ever increasing purchasing power of the burgeoning middle class, represents a tremendous opportunity for high quality agricultural products. This trend is already reflecting in the increased demand for fruits and vegetables, meat (mainly poultry), dairy, eggs, fish etc. All these point to already high and yet fast increasing demand for processed, packaged and prepared food items. 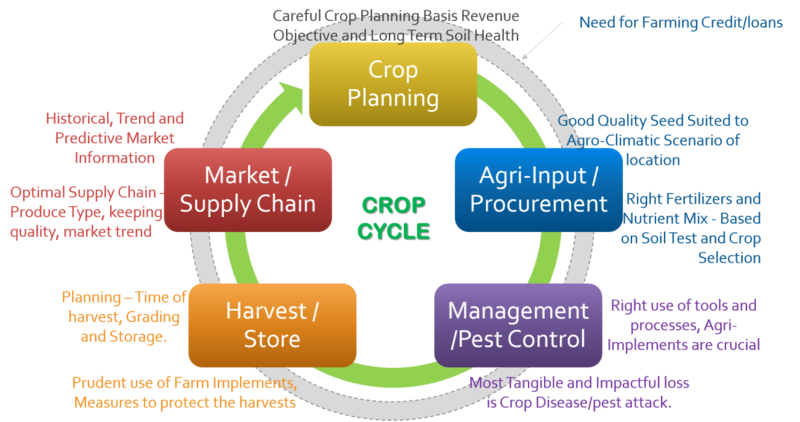 Agricultural in India is however, facing many challenges, creating a sense of urgency keep pace with demand for quality and quantity of agricultural produce. For instance, currently, Indian farmers get only 20-25% of the produce price compared to 40-50% for the farmers in developed countries.